February 20, 2015  There's been a lot of news about police brutality in Brazil. But what is less known is the difficult situation for cops in Brazil. Unlike in the U.S., those who kill cops don't get harsher penalties. February 19, 2015  Six Guantanamo detainees resettled in the tiny South American country of Uruguay in December say they feel like they've been released from one jail only to be put in another. One detainee complained on TV that they need their families, a home, a job and some sort of income. In response, Uruguay's president seemed to question their work ethic. February 19, 2015  Before Alberto Nisman could give his testimony to congress implicating Argentina's president in a cover up of a 1994 bombing, he was found dead with a bullet to the head. 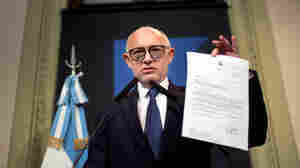 February 18, 2015  A group of prosecutors in Argentina has called a silent protest for Wednesday to demand answers into the gunshot death of a prosecutor investigating the nation's worst terror attack. February 16, 2015  While it's winter in the U.S., it's also the height of summer along the beaches in Rio de Janeiro. A postcard from the Brazilian seaside brings the sounds of beach fun. February 10, 2015  Restaurants are using disposable cutlery and plates. Residents only have water for a few hours. Food prices are soaring. 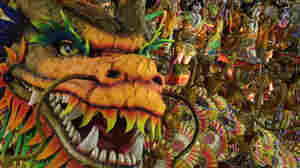 Now, Sao Paulo faces draconian rationing of up to five days a week. 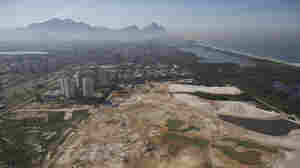 February 8, 2015  Officials in Rio de Janeiro say they will use the 2016 Olympics to transform the city, but massive sports events like the Olympics carry a huge price tag, and often leave only white elephants behind. 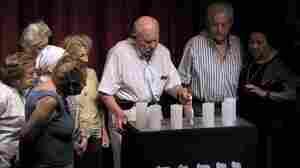 February 1, 2015  Hector Timerman talked to NPR about the possible role of Iran in a bombing attack on a Jewish center in 1994, the conspiracy theories gripping his country and why he negotiated secretly with Iran. 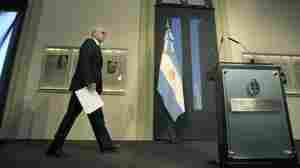 January 29, 2015  Argentina is focused on the funeral of a prosecutor who died mysteriously. And the nation's politics — with elections this fall — reverberate over the 20-year-old bombing he was investigating. January 29, 2015  The prosecutor of an infamous 20-year-old bombing, who died recently under shady circumstances, is being buried on Thursday. Alberto Nisman goes to his grave as a controversial and enigmatic figure. January 27, 2015  Cristina Fernandez went on TV to say she would do away with the agency. It was the latest episode in the mysterious shooting death of a prosecutor who was investigating a 20-year-old terrorist attack.